Mr Barber Cho is the first non-governmental figure to join the Myanmar Forest Certification Committee. He was appointed to the role of Secretary by ministerial decree in 2013. 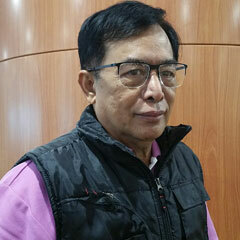 As a member of the committee’s Interim Task Force, he advocates for active participation by the private sector in the Forest Law Enforcement, Governance and Trade Voluntary Partnership Agreement (FLEGT-VPA) negotiations between Myanmar and the European Union, a process he initiated in a previous role with the Myanmar Forest Products Merchants Federation. He now also works to promote market-led approaches to community forestry via the Community Forestry National Working Group. Mr Cho has worked in the timber industry since 1992, and exports wood products to the EU (mainly to Italy) and ASEAN countries (Vietnam, Thailand and Malaysia).